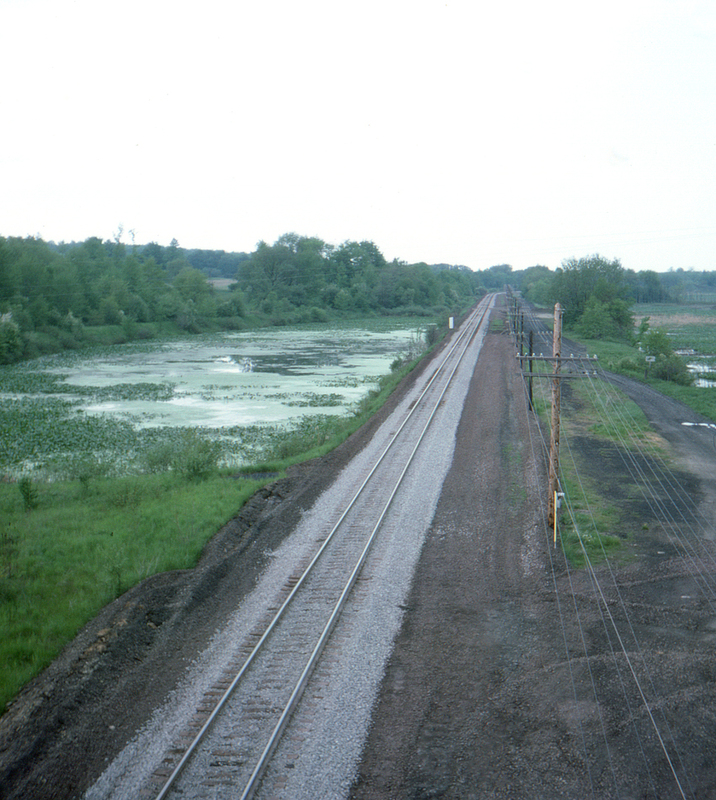 The Bessemer & Lake Erie's main at Hartstown, Pennsylvania appears to have been recently single tracked in this view from the U.S. Route 322 overpass looking north. One can see the beginnings of the extensive marshes to the north, originally bypassed by a roundabout route to the east until a cutoff was built, starting approximately at the curve in the distance. The B&LE earned the distinction in late 1973 of being the first Class 1 U.S. railroad to possess an all-welded rail mainline. This page posted 6/1/2018; revised 1/1/2019. Text and photo ©2018 Lamont Downs.